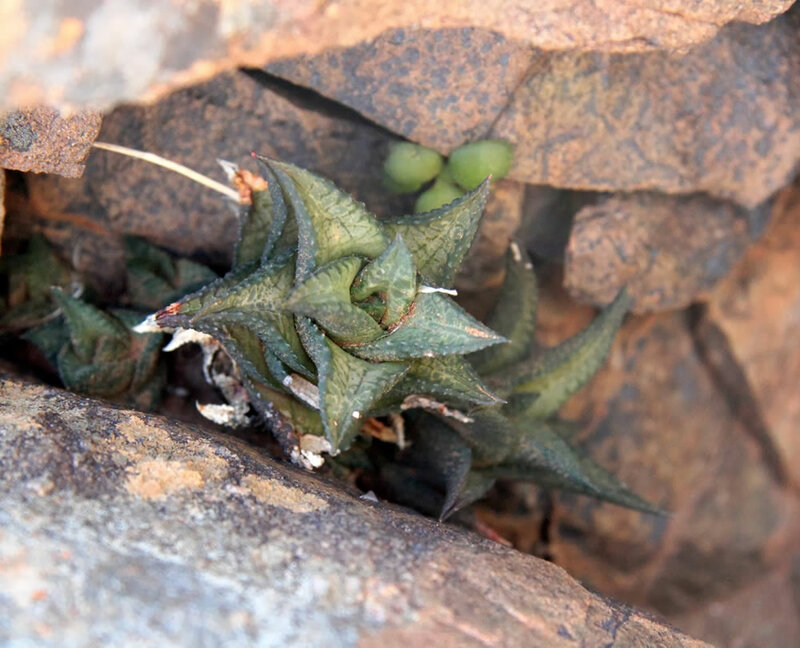 Distribution and habitat: Haworthia venosa subsp. tessellata is a very widespread species, occurring in the climatically severe central-southern Africa and Namibia. 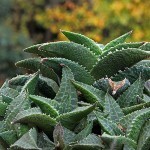 It is one of the most adaptable, widespread and also variable Haworthia primarily found in the summer rainfall area. It grows on bushes and rocky areas. Usually it is very proliferous or stoloniferous, forming clusters in nature and filling in the space it has – shady place under the bush or in rock crevices. It is associated with other succulents such as Euphorbia aggregata, Cotyledon toxicaria, Crassula obvallata, Mesembriantemum saxicolum and Stapelia flavirostris. 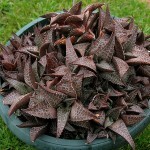 Description: Haworthia venosa subsp. tessellata is one of the most widespread and also it is a very variable plant and in the past there were a huge number of names amongst this species (at least 26 varieties), but all this varieties merge gradually one with another through a continuous series of transitional forms, so now they are all called Haworthia venosa subsp. tessellata . It is a succulent evergreen slow-growing species reaching a size of 15cm (6 inch) in height. This plant is stemless, low 5-10cm (2-4 inch) in diameter with about 7-15 leaves arranged in spirals. The leaves are sessile 3-5cm (1-2 inch) long, 2-3cm (0.8-1 inch) wide at the base, fleshy, firm in texture, broadly triangular, strongly recurved, brownish to green, cuspidate at the apex; upper surface flattish, marked with six pale green anastomosing verticallines forming a square patterned design and windowed (sunlight enters the plant body through these translucent windows and is converted into energy by many layers of chlorophyll-rich cells), lower surface is usually rounded slightly scabrid with raised coriaceous tubercles, especially in the upper part where they are arranged in transverse rows, margins with recurved white teeth. The leaves are greenish, form a rosette and turn to reddish in full sun. This stemless plant sends underground stolons up to 14cm (6 inch) away from the mother plant. This vegetative reproduction results in a mat of plants and produce clones of parent plant. Small tubular white flowers with green bibs appear in summer time on a few flowered simple raceme up to 50cm (20 inch) tall. Houseplant care: Haworthia venosa subsp. tessellata in cultivation it grows quite easily, spreading by offsetting and via stolons. Light: Haworthia venosa subsp. tessellata will take various light conditions, but neither direct sunlight or deep shade. 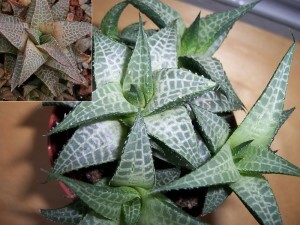 If given it the right amount of sun light, the nice markings will be more visible and plants more attractive. It is recommended to stand these plants outside in summer in a place where they can get some indirect sun light. 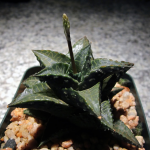 Temperature: Normal room temperatures are satisfactory at all times, but Haworthia venosa subsp. tessellata do best if winter temperatures are kept about 15°C (59°F). They have a rest period from mid-winter to late spring and can survive temperatures down to 4-5°C (39-41°F). They do prefer more warmth even while resting in winter and spring, however. Watering: Haworthia venosa subsp. tessellata is very tolerant of underwatering, but will succumb quickly to rotting if overwatered. During the active growth period water moderately, enough to make the potting mixture moist throughout but allowing the top centimeter or so to dry out between waterings. During the rest period water only enough to prevent the potting mixture from drying out completely. Their growing season tends to be during the winter months and roots are often lost during summer months. Watering at the wrong time of year may kill the plant, so some sensitivity to the active growing cycle is required. Feeding: Haworthia venosa subsp. tessellata thrives with very occasionally and should only be fertilised using a weak solution. Potting and repotting: Haworthia venosa subsp. tessellata has a slow rate of growth, therefor repotting is only required infrequently and usually only when offsets have filled the pot. 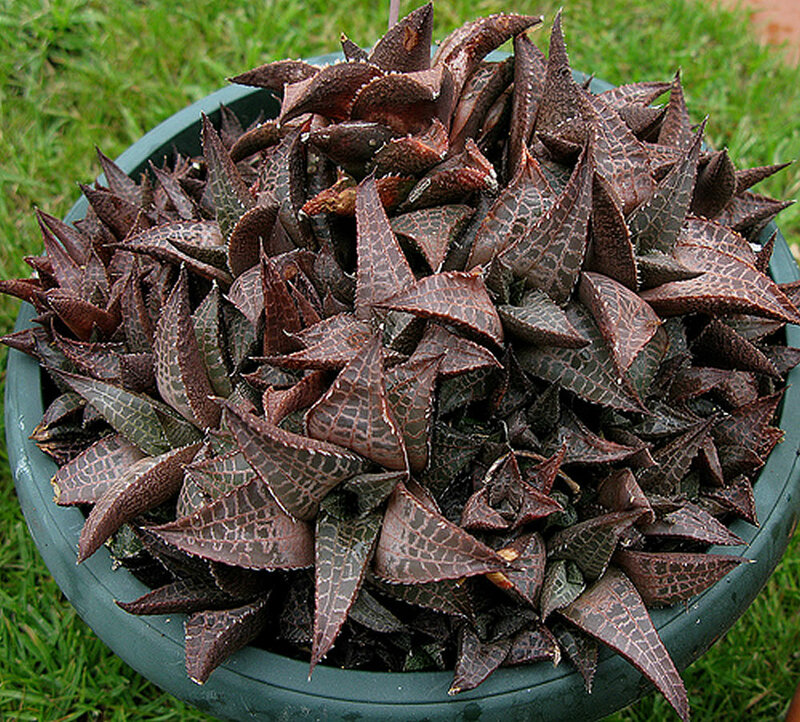 Half-pots are best suited to the clustering habit of Haworthia venosa subsp. 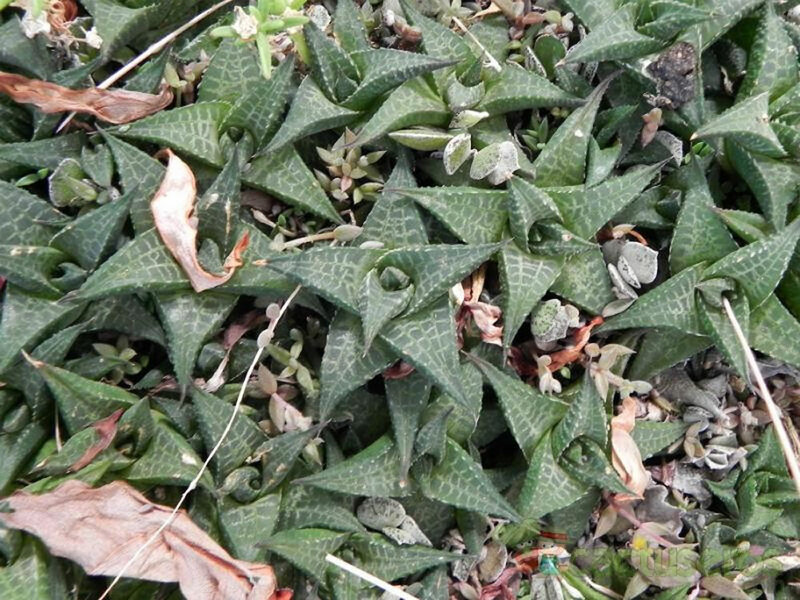 tessellata plants. When pot a specimen always leave a 4-5cm space between the edges of the cluster and the rim of the pot to allow room for new growth.The largest pot size needed will be 12-15cm (5-6 inch). A plant that has grown beyond that size should be split up. Repot in spring at the start of the growth period. Use a porous potting mixture composed of one part of coarse sand or perlite to two parts of standard soil-based mixture. After pulling or cutting off any dead or shriveled leaves, move each plant into a larger pot only if the rosette cluster covers the entire surface of the potting mixture. 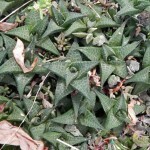 Gardening: Outdoors Haworthia venosa subsp. tessellata plants do fairly well in zones 9b-10b in arid climates. They make fairly decent landscape plants filling small areas between rocks nicely. But they often get lost in complicated and overgrown gardens and then suffer from lack of light. 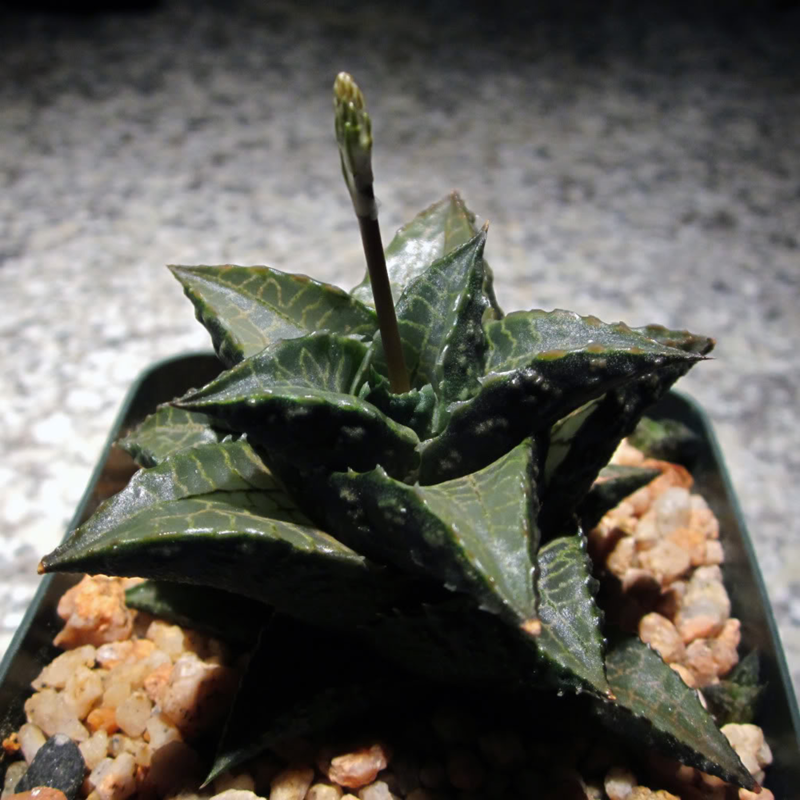 To overcome such situations it is recommended to grow Haworthia venosa subsp. tessellata in pots. Haworthia venosa subsp. tessellata in wild are nearly buried in the soils with only the leaf-tops exposed. They do not need to be planted this way in pots and look a lot nicer with at least some leaves sticking out above the soils. Position: The more light the better, partial day sun to light shade is the optimum light intensity needed for Haworthia venosa subsp. 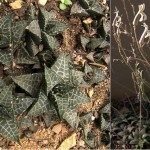 tessellata plants. Also, these plants will grow well in a greenhouse. 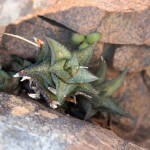 Soil: Haworthia venosa subsp. tessellata need a well draining soil and a layer of top dressing. These plants need mildly acidic soil. Use cactus compost or add sand to improve the garden soil drainage. Warm climates may require more water-retention properties than cool or indoor climates. Top dressing is a good idea, not just for looks, but helps to keep the plant’s leaves off from the wet soil, promotes drainage through the soil and help preserving the water into the soil. Irrigation: Watering varies depending on the plants position and temperature. Water them frequently when it is warm and dry (but not at the very peak of the heat- they seem to go through a period of summer dormancy at this time) and less to not at all in winter when it is cold… however, Haworthia venosa subsp. 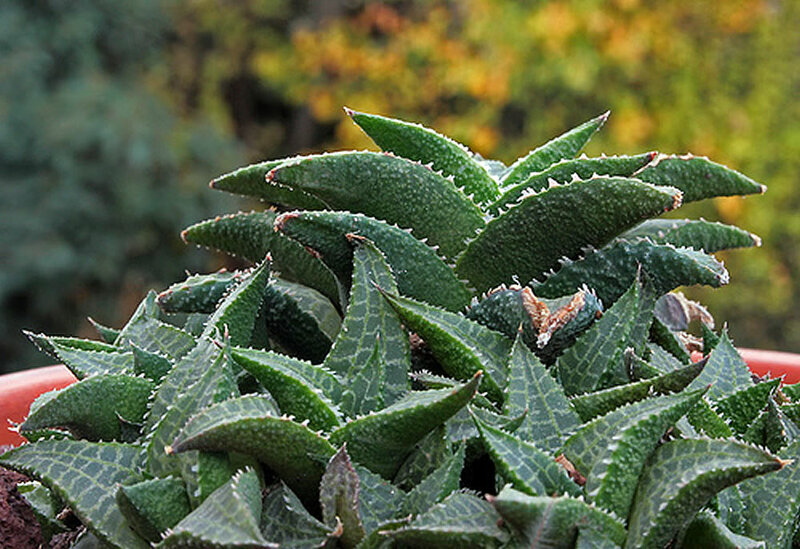 tessellata plants or pots with succulent plants communities are sitting under the grey skies of winter storms and get a lot of rainwater at a time when they are probably mostly dormant. It seems that it is not be a problem for these plants. Individual plants in smaller pots demand more attention. Water ideally when soil is getting dry and not if wet. When in doubt, best to skip watering… too much is worse than too little. Some pots dry out faster than others, too (if glazed, unglazed terracotta, metal, glass etc – all dry out at different rates). Fertilising: Some experts recommend just repotting every few years and that will pretty much negate the need for fertilizer. Propagation: Haworthia venosa subsp. tessellata can be propagated by seed or offsets. Most Haworthia venosa subsp. tessellata plants will eventually offset and those offsets are easy to separate and produce a new plant. This way of propagation will result in new plant identical with the parent plant. When cutting off an offset without roots, best to let it dry over three days or so before replanting it again. Press it on slightly moist soil and keep it in warm area and keep out of sun. Summer is the best moment to separate the offsets. They will root into the soil. Haworthia venosa subsp. tessellata grow readily from seed. These plants have a tendency to hybridise so easily that the results are likely to be unpredictable. The flowers of Haworthia venosa subsp. tessellata need pollination in order to produce seeds and artificial pollination is very effective. It is easy to create all sorts of Haworthia hybrids by transferring pollen from flower to flower, plant to plant. Problems: Haworthia venosa subsp. tessellata is generally disease free. These plants may need to be re-rooted (get rooting hormone) in an evenly warm, well lit but protected environment. Once it is rooted well, it can go back out into the general collection for more abuse. Exposure to direct sunlight of unaccustomed plants can lead to severely sunburn and subsequently may rot. Grown in low light for much of the year can create etiolated, weakened and abnormally green plants. Meallybugs may be a problem. It is their main pest. Occasional watering with systemic insecticides based on Imidacloprid will keep the plants free of mealy bugs. Note: The Latin name tessellata comes from the tiled pattern in the leaf faces. Sunlight enters the plant body through these translucent windows and is converted into energy by many layers of chlorophyll-rich cells. This is especially useful in the arid climates where Haworthia venosa subsp. tessellata makes its living as the primary photosynthesis tissues are not exposed to the drying elements. Companion plants: Haworthias species are small succulent plants closely related to Aloe, Gasteria, Kniphofia, Poellnitzia and Astroloba species. Uses and display: Haworthia venosa subsp. tessellata are generally grown for their decorative leaf markings and architectural forms. They are suitable for patio landscapes and as container plants, being an attractive, easy plant for a pan. They are compact plants so can easily be grouped in different sized containers to add visual appeal.